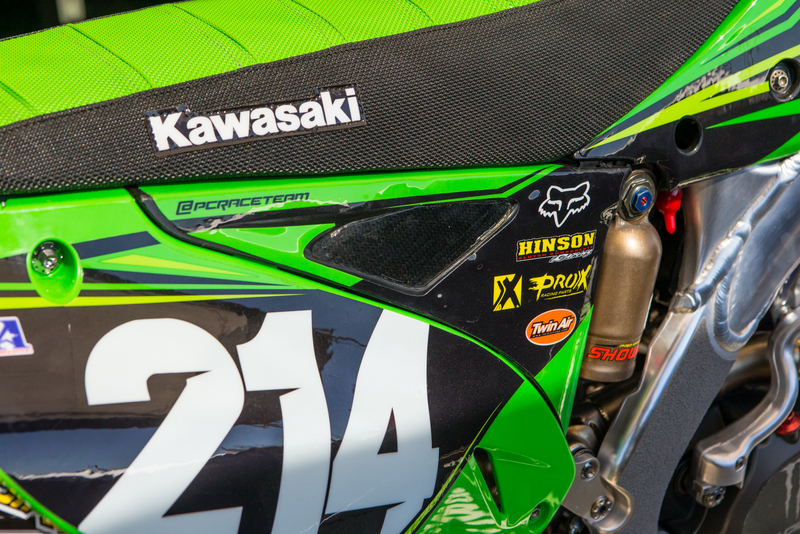 Monster Energy/Pro Circuit Kawasaki was on hand with three riders for Glen Helen, running Austin Forkner and Chris Alldredge in the MX2 class, and former-GP regular Arnaud Tonus in the MXGP category. 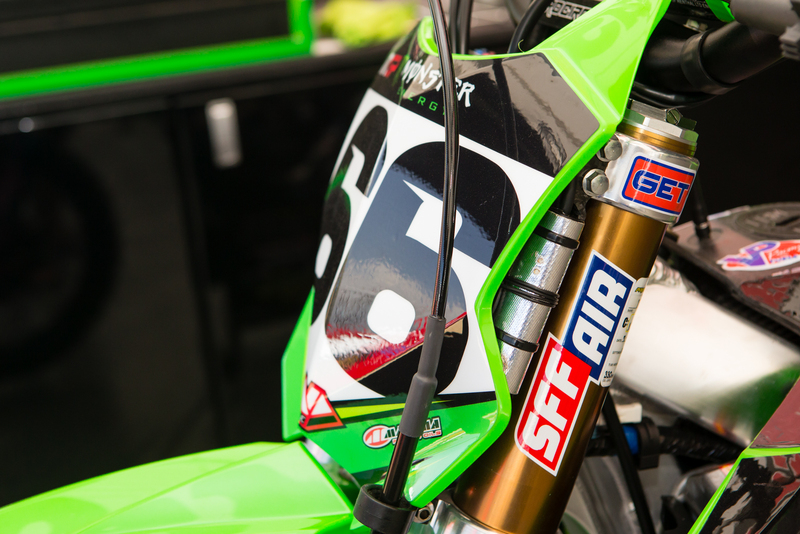 It was actually Arnaud's first 450 race in the GPs, as he had left for the US when he aged out (Under-23 rule) of MX2, two seasons ago. 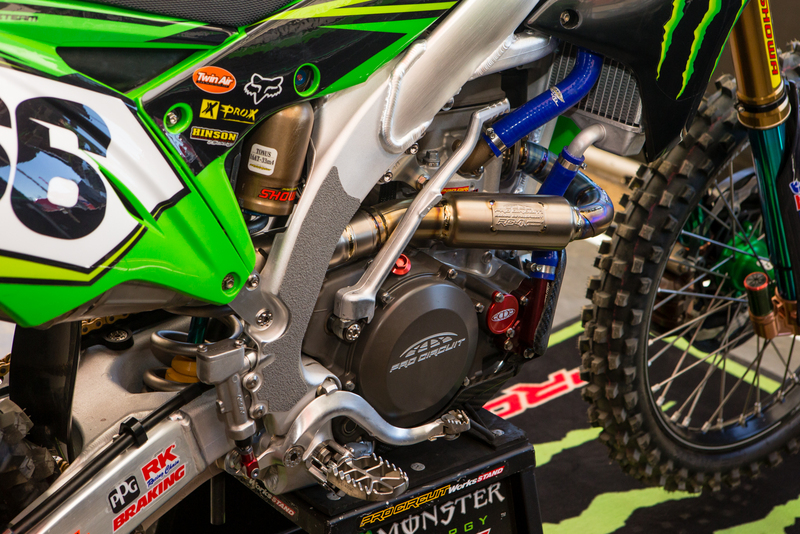 After talking to Austin Forkner's father after the race, mostly to check on his condition from his second moto crash, we then hatted about 2017 numbers. If things work out, Austin may get number 24, which is pretty close to his amateur number of 214 that he has been running. 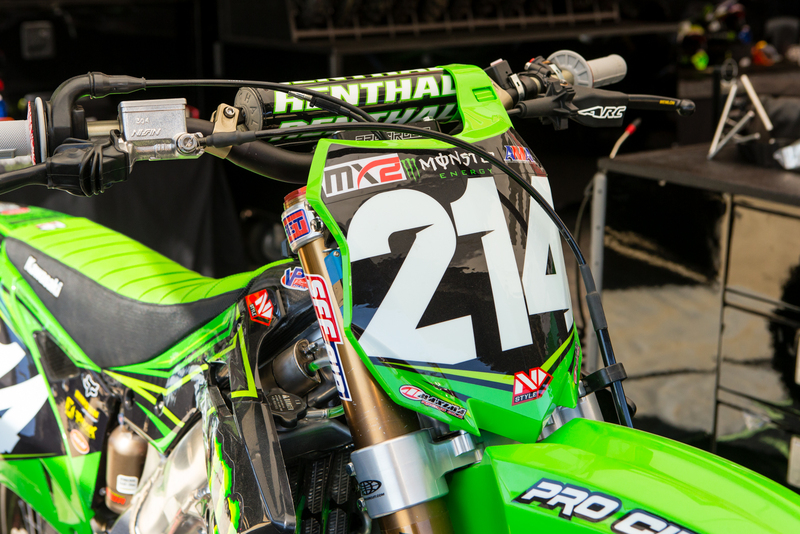 He would've liked to get 21, as that's what he would run at Loretta's each year, but of course Jason Anderson will be holding that one for quite awhile. 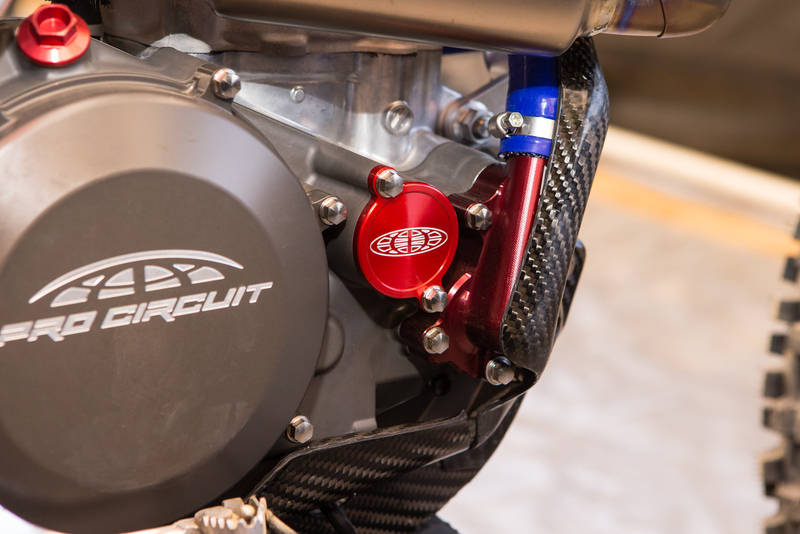 For the GP sound testing, PC had their right-side carbon fiber airbox cover still in place. 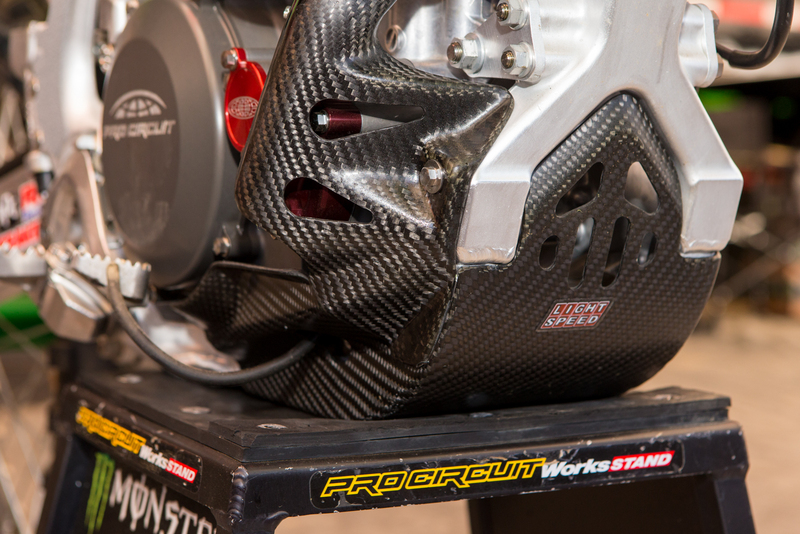 Pro Circuit is one of the few teams in the US to run oil coolers, and has been doing so in outdoors for over 10 years now. 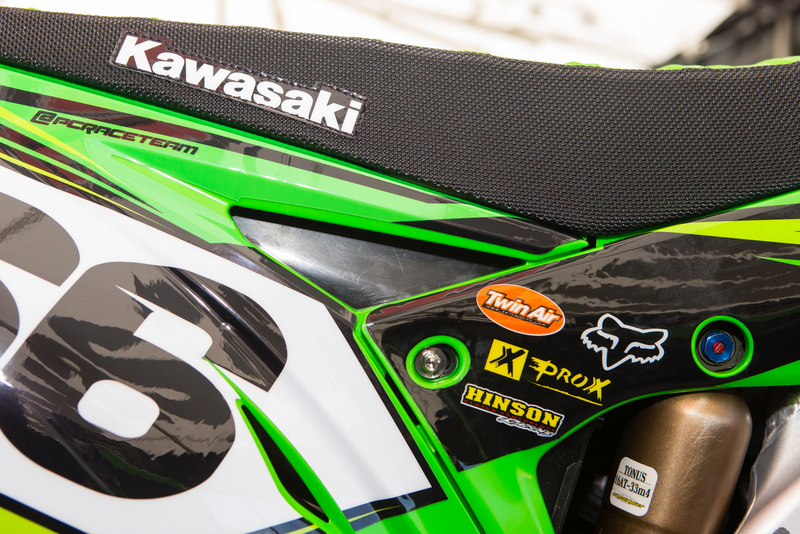 As we mentioned above, Arnaud Tonus competed in the MXGP category aboard a Pro Circuit KX450F, which he'll also race at MXdN in a few weeks for Switzerland. 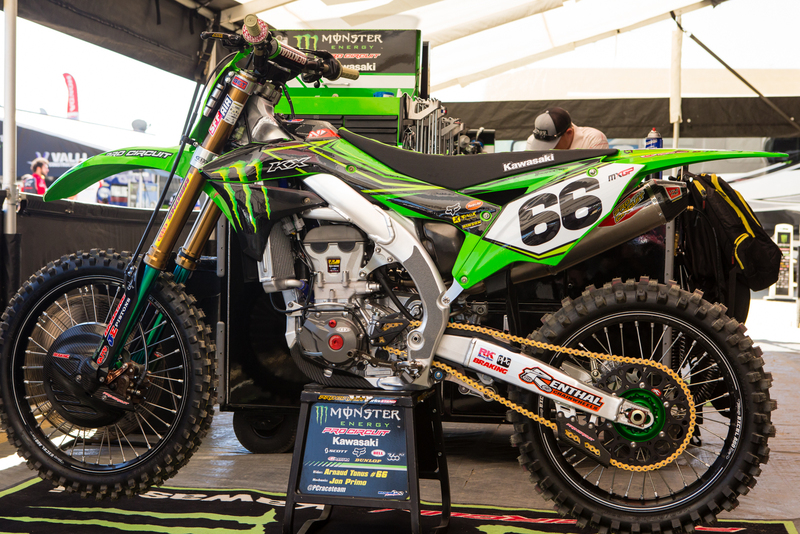 Being that the KX450F received a substantial upgrade for the 2016 model, this is the first race-version of this bike we've had a chance to see Pro Circuit use. 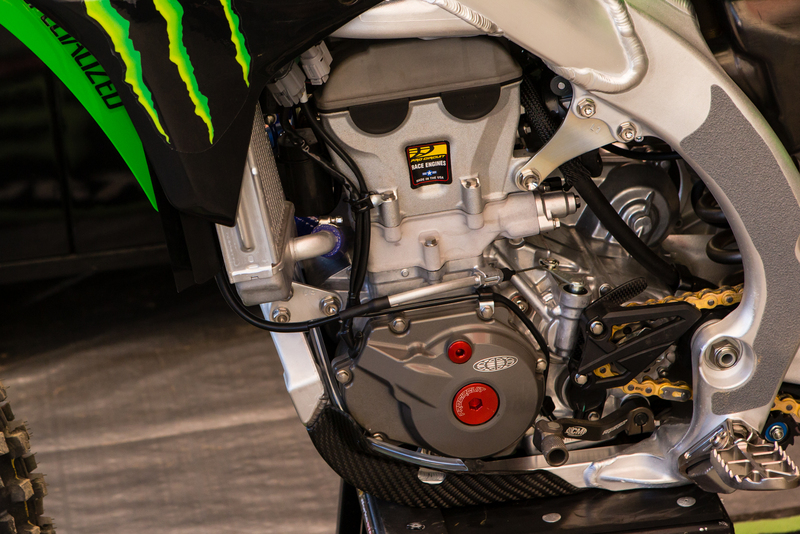 Due to the current bike layout, there wasn't much room along the top of the frame and under the radiator shroud for GET's data logging box, so it had to be stashed in front of the left side fork. 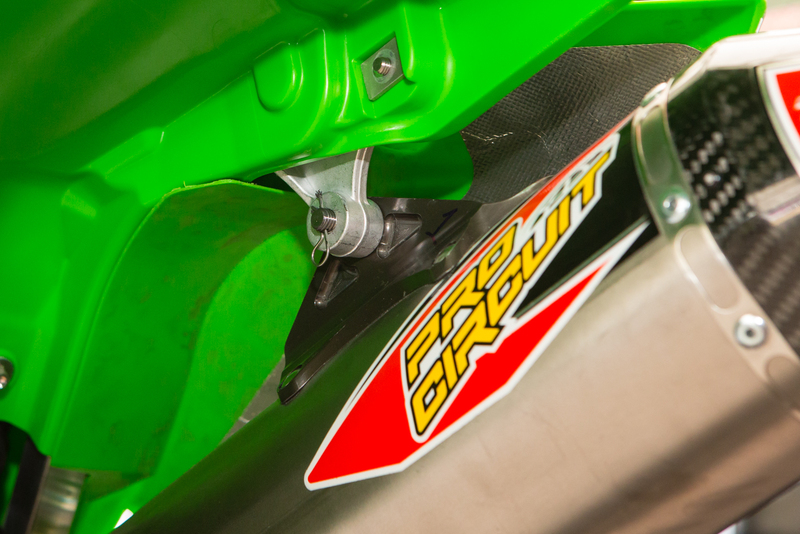 PC now has a billet ignition cover for the newest KX450F. 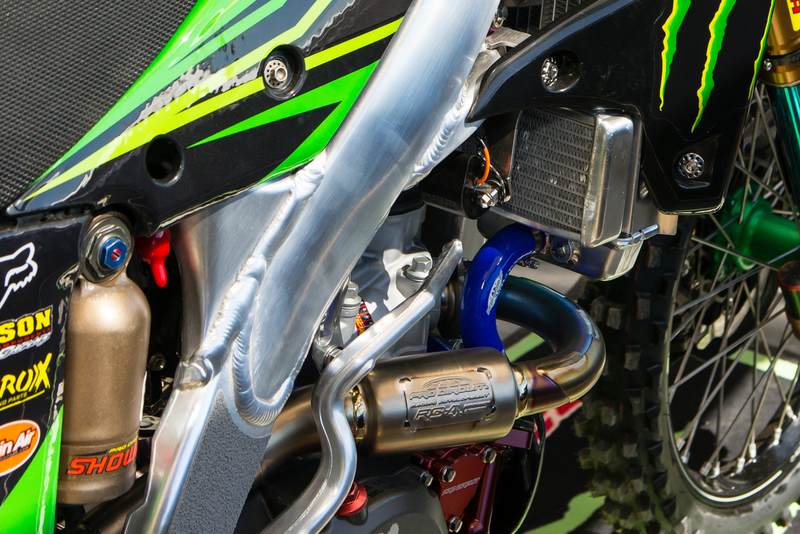 Even though the team primarily races the KX250F, as you can see, they still make plenty of parts for its bigger brother. 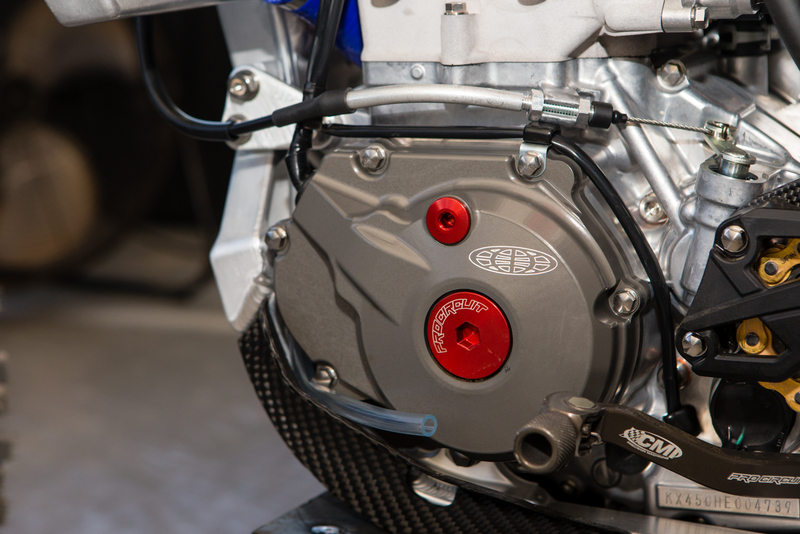 Including a new waterpump and oil filter cover. 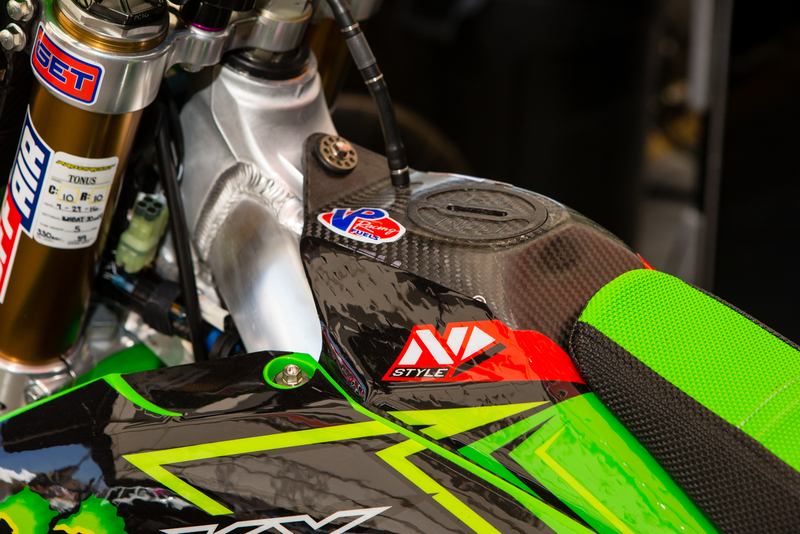 Lightspeed has some major carbon fiber coverage for the the newest KX450F, with this two piece skiplate and engine/water pump guard. 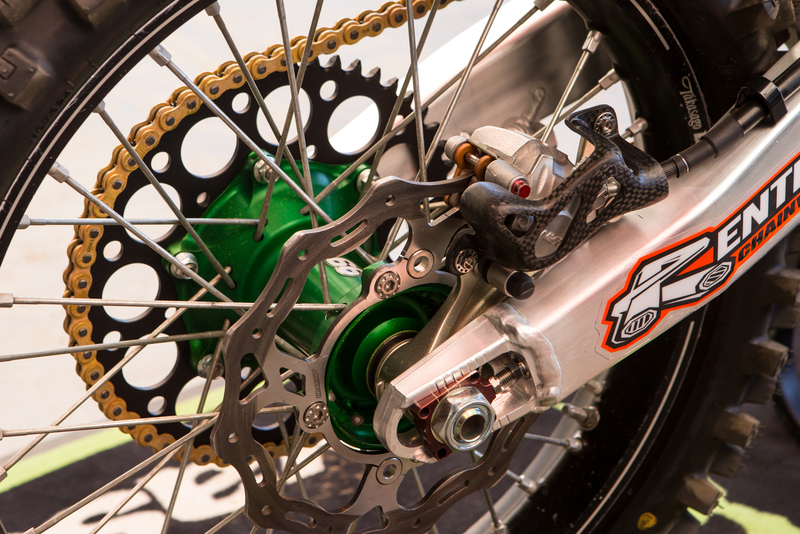 We don't see floating rear brake rotors very often.